Have you gone on your first picnic this season? 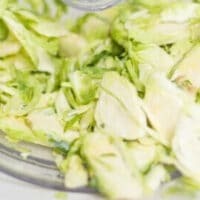 I’ve got a great recipe you’ll want to try: Brussels sprout and orzo picnic salad. It is DELICIOUS! Unlike a lot of pasta, orzo holds its shape and firmness in salad so it is not unbecomingly mushy. 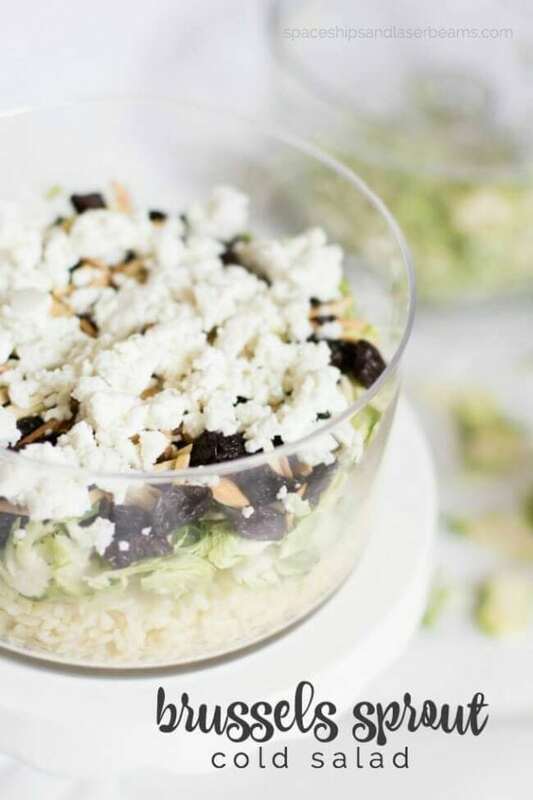 The sprout, almond, cherry combination is delightful and when you top it with tangy goat cheese and the sweet and sour dressing—totally satisfying! It looks appealing, tastes great, and travels well. I like to put it in individual containers for picnic transport. Add that this salad doesn’t take long to prep and you can see why it is a picnic season favorite at our house. Yum! Your family will love this Avocado Popcorn Shrimp on hot summer nights. This Perfect Easy & Spicy Potato Salad is a great dish for all your summer family gatherings. A simple Elbow Macaroni Salad recipe is the perfect addition to a cookout. Our whole gang loves this Caprese Pasta Salad as well. A Simple Homemade Caesar Salad is a favorite that you’ll enjoy. Remove from heat and drain water. Allow to cool. In a small skillet over medium heat, toast almond slivers until golden brown. Cook about 3-4 minutes, stirring often so almonds do not burn. Immediately remove from heat and place on a paper towel to cool. 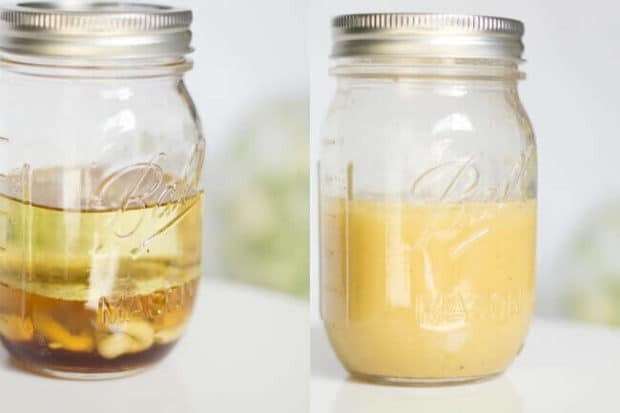 While pasta is cooling, mix dressing ingredients in a 16-ounce jar and shake until well combined. 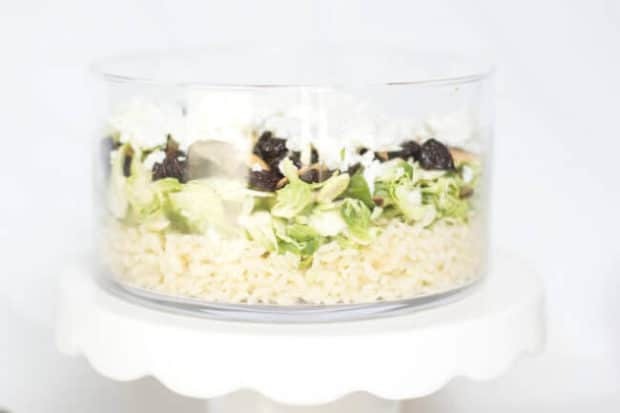 Layer pasta, Brussels sprouts, cherries and almonds in a large bowl. Crumble goat cheese on top and toss with salad dressing. Place in the refrigerator for 1-2 hours before serving. Check out these delicious picnic recipe ideas we’re loving! Create your own delicious salad with these great sources gathered by the team at Spaceships and Laser Beams. Check out more great salad recipe ideas. 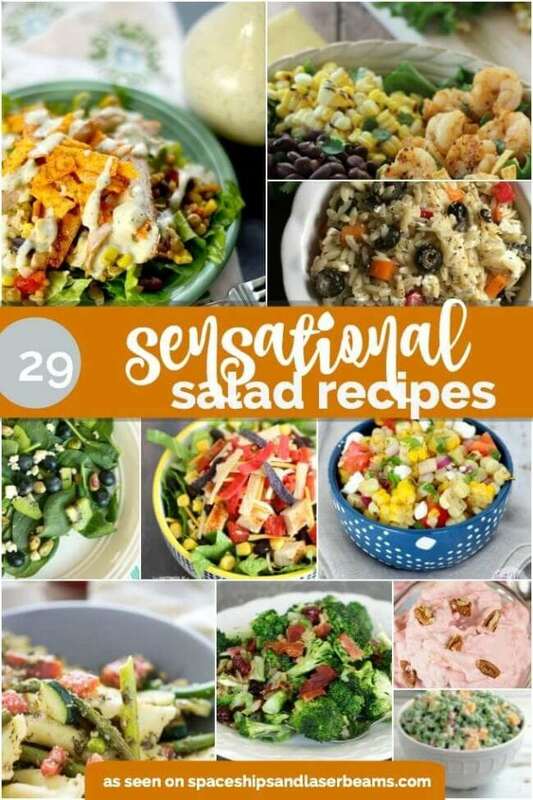 Plus, don’t miss 29 Sensational Salad Recipes!